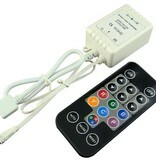 Mini Controller for digital (Magic / Dream) RGB LED Strip with Infrared remote control. 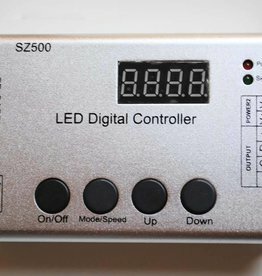 This controller is used to control digital LED Strips. Note: You can not edit the light programs in this controller. 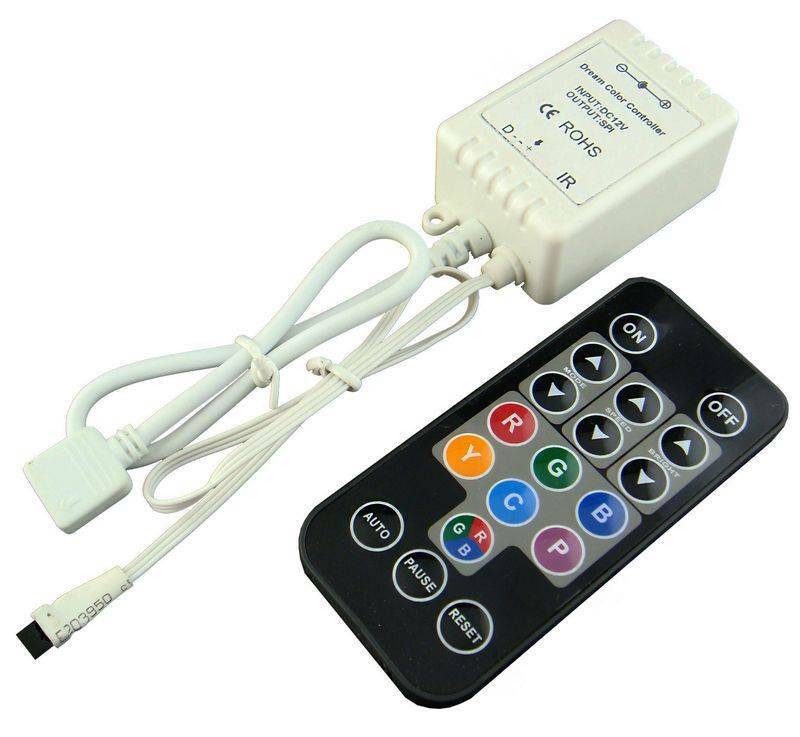 To create your own light programs, you will need the Programmable Digital LED Strip Controller with Editing Software. Easy connections. DC input socket. 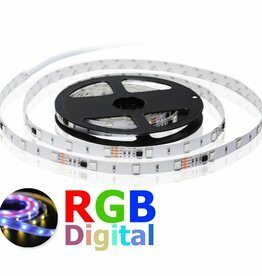 Complete RGB / Magic / Dream Digital LED Strip set. This Digital LED Strip makes it possible to create advanced effects. Each section of 3 LEDs is separately controlled by the digital LED Strip controller, making spectacular effects possible!